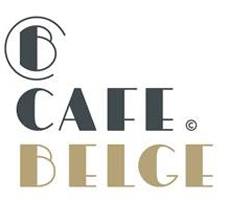 Dubai, UAE, 20 February 2014- Café Belge, a Belgian Grand Café, has officially opened its doors at The Ritz-Carlton, DIFC, bringing an exciting new concept to Dubai’s dining scene. A vibrant restaurant and bar with its design and gourmet roots proudly set in the golden era of 1920s Brussels, Café Belge is the first Grand Café of its kind to open in the region. Heralding from 1920s Belgium, Grand Cafés were landmarks of grandeur, splendor and elegance, hence from the moment guests sweep through the ornate iron doors of Café Belge, an exceptional journey begins. Art Deco and Art Nouveau design elements are richly reflected in the décor, from the decorative carvings on the columns, to the ornamental chandeliers and mirrors, to the array of bold geometric pictures that adorn the walls, further complemented by marble floors and tables, two rich wooden bars and signature high ceilings. Outside on the terrace, the restaurant continues in equally grand-style, and a separate bar provides the perfect spot for those seeking an alfresco tipple. Guests to Café Belge are welcomed in warm Belgian style, experiencing etiquette refined through generations, alongside a vibrant spirit reminiscent of the 1920s. Food is classically Belgian, reflective of dishes enjoyed for generations throughout traditional Belgian dining establishments. Prepared with the finest ingredients and served with finesse, the menu shares Belgium’s penchant for seafood, with highlights including the lavish Café Belge Seafood Platter, and Doversole à l’Ostendaise, served with a mussels, King crab and grey shrimp bisque sauce. Oysters arrive daily, are opened by the chefs whilst still on the lorry, and are immediately rejected if the quality is anything less than top-notch, before those that make the cut are shucked at the live seafood bar. Further highlights include the sublime frites with classic mayonnaise and ‘Filet Americaine’, the Belgian take on hand cut Beef Tartare. Desserts offer something for every sweet tooth, including Sugar Pie from the renowned Ardennes region, and traditional Brussels-style Belgian Waffles with Speculoos Ice Cream. “In Belgium, beer is a culture not a drink”; proudly states Sofie Vanrafelghem, Master Beer Sommelier for Café Belge, and expert in brewing and ‘zythology’, the pairing of beer with food. A Belgian national, Sofie handpicked each beer on the Café Belge menu, and conducted extensive training with the team, mentoring each member through every part of the beer-serving ritual, from selecting the glass to the perfect pour, to understanding the flavours. ‘Sofie’s Choice’ is a standout element of the Café Belge experience, with a beer recommendation to complement the flavours of many of the menu’s dishes, which sit alongside the wine suggestions, with equal emphasis placed on both. This is key to Sofie’s philosophy, and beer is subsequently served in elegant glasses to create a more refined and sophisticated experience. Before joining Café Belge, Graziano Cerradu was Restaurant Manager for Gordon Ramsay at Powerscourt, Ireland.